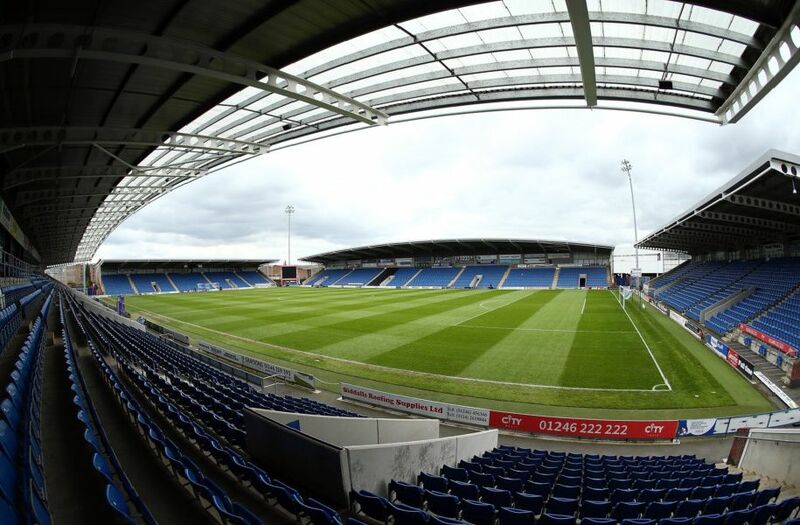 In-form Chesterfield moved up to 12th place in the National League after a 4-1 win over Maidstone United. Jason Chadwick captured the match action. Chesterfield celebrate their first-half goal. Joe Rowley on the ball. Tom Denton heads forward for Chesterfield.